Quicklotto offers a good split of revenue between the three parties involved. The winner gets 50%, the government gets 20% and the organization gets 30%. The company is owned by Fortune Games limited, a Nigerian company. As indicated on the website they have been in business since 2004. They provide limited information for clients to work with. Being a Nigerian organization it creates scepticism in the mind of people, especially those who have gone through a case of been defrauded before. The games in this section allow you to get an instant result on the games played, it runs a fast-track system of letting players know if they have won or not. Your winnings will be credited to your account immediately after your game win has been confirmed. The cash winfall guarantees a total sum of 10 million nairas while the car lucky loot comes with a Mercedez 300E 2014 series and all these prices can be won immediately after the game. The Quick5 avails player the opportunity to select five numbers within the range of 1 to 39. The jackpot-winning prize starts from one million nairas. It keeps increasing until a winner or winners emerge at the end of the game. The quick5 is less difficult and presents a minimum level of challenge to players. The Mega Hammer as it sounds holds the highest winning jackpot of 10 million naira and possibly graduates to a billion naira until a winner or winners emerge. 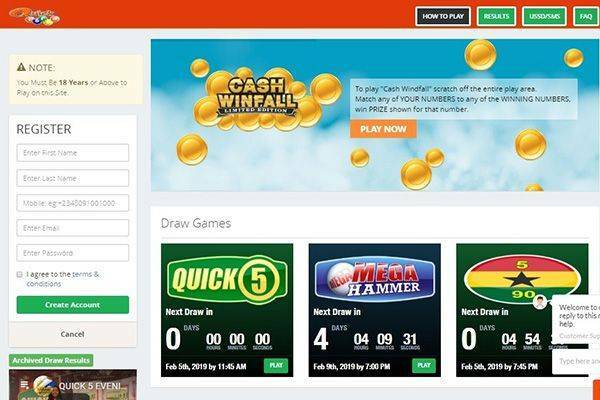 They have explored major platforms across the board to help players have access to lottery ticket effortlessly. You can play on phones by selecting numbers and send them to their shortcodes. The shortcodes vary according to the game you are playing, for Quick5 the shortcode is 3113 while for mega hammer the shortcode is 31114. Players with Nigeria network are the only one liable to partake of the mobile games. The mobile platform is user-friendly considering the targeted audience have a limited level of education, words like “pic”. “pik” or “pick” is allowed for play. 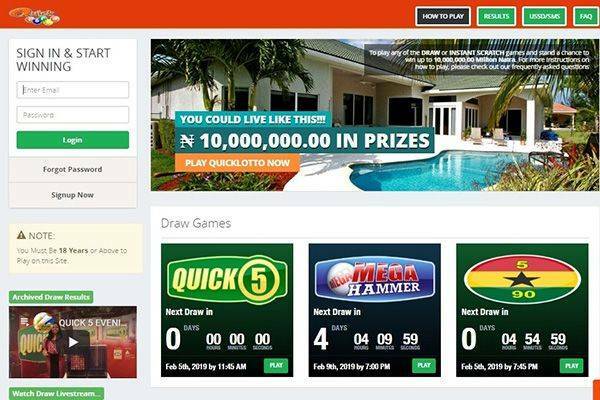 There is currently no promotional offer by Quicklotto. We will be considering means of deposit and withdraw in this section. They have direct or indirect access to over 100,000 POS terminals nationwide. They aim at locating grassroots players and help them have easy access to play the game. The ATM is a good financial outlet to help players purchase tickets. They invite vendors to utilize their mobile money platform to purchase tickets on mobile phones. At the point of registration, you are expected to include your bank details like bank name, account holders name & number and the type of account used. This information is basically for withdraw. 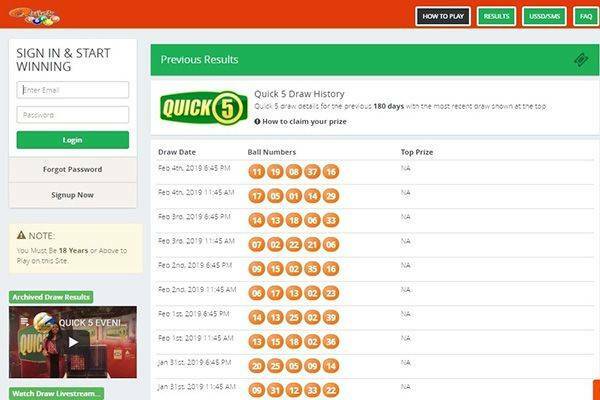 Quicklotto.net is very legit. They work under the license of the Nigerian Lotto Regulatory Commission. Where all the games they have are been outlined. People make comments on the platform about not being paid their winning fee has been confirmed, they ask for more time to find ways to salvage the situation but nothing happens after all, it’s just business as usual. The game is more targeted to the citizens of Nigeria alone due to platforms available to play. There are little options for people who wants to play from outside Nigeria. With the letter from the chairman of the organization who happens to be a serving senator of the federal republic of Nigeria, thanking the president of the country, shows a measure of political bias in the affairs of this organization.